Christmas means different things to different people. For some it means that Santa Clause will soon be here and we need to make sure that everything is in place and ready for a festive time with family and friends. For some it is a difficult time because some are away from home or have had to deal with difficult circumstances or the loss of someone special. For most it means a little baby by the name of Jesus who was born to be the savior of the world. To bring peace, justice, and to be a symbol of hope so we can live our lives in a very different way. A way in which we become the instruments of peace and channels of love so that hope can rise in the minds and hearts of those we are fortunate enough to spend time with. This year, as you take time to choose gifts for those you love, remember that you are the best gift you could ever give by giving of your time, your talents but mostly yourself! 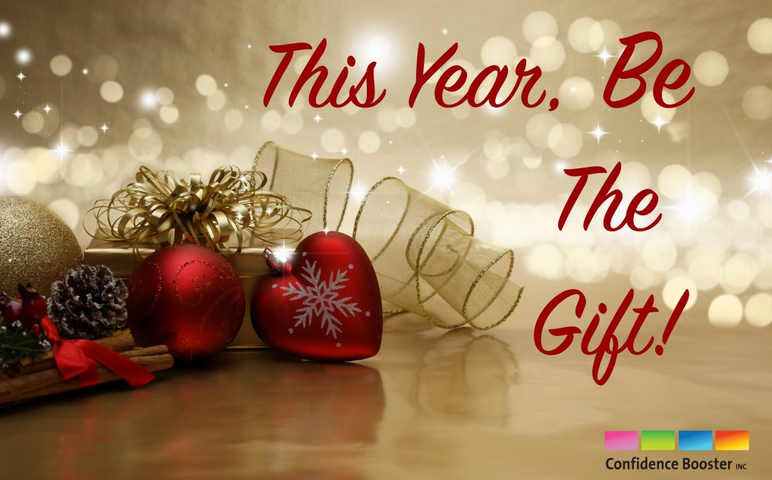 This year, be the gift!